A beautiful 9ct white gold eternity ring with a touch of individuality. Set with two rows of alternating square baguette cut and round brilliant cut diamonds totalling a third of a carat. Prestige and originality combined. 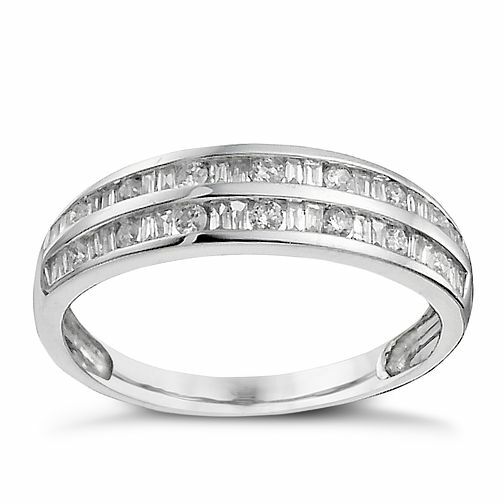 9ct White Gold 1/3ct Diamond Eternity Ring is rated 5.0 out of 5 by 2.